Feenom N.L.S. replacement lens. 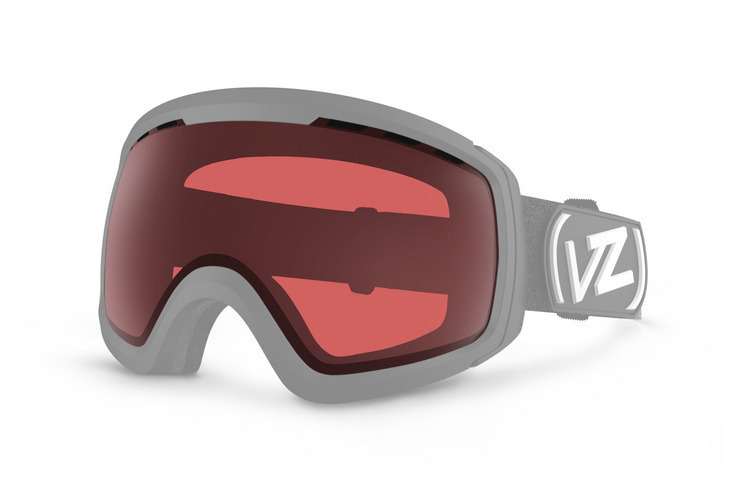 The next level of the VZ goggle syndicate, The Feenom N.L.S. snow goggle made its bones by accommodating a medium to large size face. This on-snow Wiseguy has been made untouchable with a dual anti-fog spherical lens for increased visual acuity, integrated helmet hinges designed for comfort with or without helmet, and forward venting through the frame and lens. The ultra-wide peripheral vision and triple density contoured face foam give you the fit of one to be respected and feared. *GOGGLE NOT INCLUDED, This lens will fit the Feenom. The Feenom N.L.S. Rose snow goggle replacement lens has 28% VLT (Visual Light Transmittance) VLT is a measure of the amount of light that passes through the lens. A low VLT is best for sunny days and a high VLT is best for low light riding..